ISLAMABAD A suicide bomb attack likely to have been carried out by Taliban militants on Sunday targeted a church in Pakistan's northern city of Peshawar, killing at least 78 people while more than 120 were wounded, Pakistan's government officials and intelligence officials told CBS News. Many of the wounded were in critical condition, raising the possibility of the death toll rising further. According to a senior Pakistani government official who spoke to CBS News from Peshawar, all the victims appeared to be Christians who were leaving their church near the 'Kohati gate' neighborhood in central Peshawar when two suicide bombers raced towards the main entrance of the church and blew themselves up. "All the indications suggest that this was an attack by the Taliban," said the government official who spoke to CBS News on condition of anonymity because he was not authorized to speak to journalists. The official said at least 600 people were present in the church when the attack took place. The attack has among other things underlined the precarious road the PAkistani government walks as it seeks a peace deal with domestic Taliban militants. Graphic video images on Pakistan's TV channels showed wailing friends and relatives of the victims as frantic paramedics rushed in the background to take victims to hospitals. "A grave injustice has been done today. All these people inside the church had innocently gathered to say their prayers," one young woman said. A Pakistani intelligence official who also spoke to CBS News on condition of anonymity said Sunday's attack came after recent warnings of a major terrorist incident being planned by the 'lashkar-e-jhangvi' (LeJ), a hard-line Sunni Muslim militant group known to be loyal to al-Qaeda and the Taliban. "There were warnings of a coming attack. Unfortunately, no one could predict where this attack was going take place," said the Pakistani intelligence official. 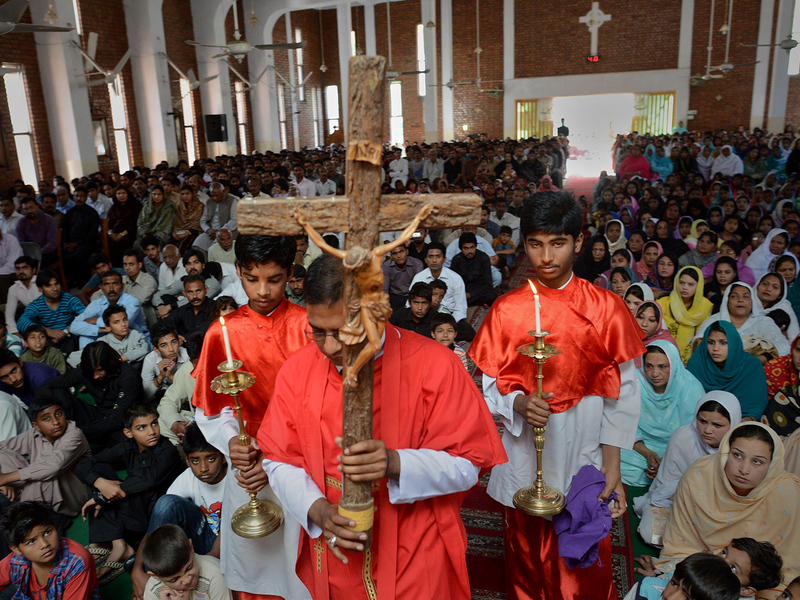 Pakistan is a predominantly Muslim country of more than 190 million where some estimates put the number of Christians at less than two percent of the population. As hard-line militant Islamists have gained a foothold in Pakistan and Afghanistan, they have increasingly targeted Christians as well as members of the Shiite Muslim community who are a minority by comparison to Sunni Muslims. The attack came just hours after Pakistan's Prime Minister Nawaz Sharif flew out of Pakistan to travel to New York to attend the U.N. General Assembly's annual meeting. While at the U.N., Sharif will seek meetings with prominent western leaders. A senior western diplomat based in Islamabad who spoke to CBS News said the attack will likely reinforce the image of Pakistan as a country under attack by Islamic hardliners. "This is terrible timing for Prime Minister Sharif," the diplomat said. "Even before people meet him, [Western leaders] will see him representing a weak government which is under attack." Pakistani officials have said attacks like the one on Sunday represent an alarming trend as the U.S. prepares to wind down the war in Afghanistan by the end of 2014. The upsurge in militant violence suggests to many in Pakistan that the Taliban are gearing up to make deeper inroads in Afghanistan and parts of Pakistan after U.S.-led Western troops leave the central Asian war-ravaged country.